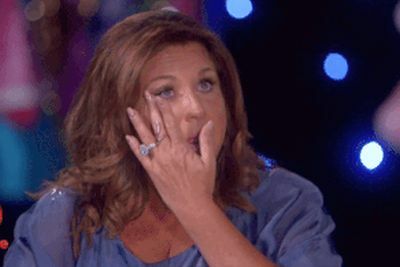 It’s the end of an era: Dance Moms will end its run next month. Lifetime confirmed the long-running reality show’s cancellation to International Business Times. Over the past few weeks, cast members had been hinting that the show would end after its current season finishes airing, but this is the first time the network has confirmed the cancellation. The site reports that the series final episode of ‘Dance Moms’ will air on Tuesday, October 31, but two specials will air in addition to the regular episodes. Season 7B is currently airing on Lifetime. As ‘Dance Moms’ fans know, the show’s original star, Abby Lee Miller, is serving time in a California prison. Dancing with the Stars pro Cheryl Burke has replaced her as the show’s teacher and choreographer. Cheryl recently told Us Weekly that it was tough taking over for the famously brash Abby. Earlier this week, original cast member Nia Sioux told Teen Vogue that she is leaving the show. “It’s crazy to see how far it’s come and how much I’ve been through. I was just like, ‘I’m 16 now, I’m growing up, the show has been a great platform, but it’s time to move on,'” she told the magazine. “During the show, I couldn’t take all the opportunities that I wanted to, and now since I’m off the show I’m getting to do what I want to do,” she told the site. ‘Dance Mom’s premiered on Lifetime in July 2011 and has run for seven seasons. New episodes are currently airing on Lifetime. I miss the show, not Abby, the moms or the conflicts but the girls?. The shows probably cancelling because of what the Elite teenagers Last Dance was horrible and trashy. I like the show but I’m glad it’s going to go off the air because I’m afraid of millions and millions of children seeing them dance like that again. Hopefully when Abby gets out of jail she can the show can come back when and the two many moms and Bren can go back on the air and should beautiful dancing not cheap dancing that demoralizes young teens!! Although i do agree this show has run its course, it’s bitter sweet. This show started when I was a brand spanking new mother for the 1st time. I was stuck in my bedroom breastfeeding my kid and I came across this show. Having danced competitively as I kid, I was drawn to it. Being sleep deprived with a new baby, it became my escape. I will miss it,but it’s time for it to end. I loved it for the first few seasons. Abby was harsh but really good. It was amazing to watch the girls win all of those dance contests. Maddie was amazing too. Those kids are so talented. I guess cancelling the show now that Abby is in prison makes sense. I agree. Watching the girls dance was amazing, I had enough of the mama drama though.